Perfect for concessions & audio/video equipment! 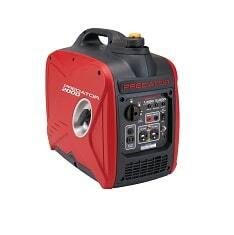 Though this 1600-watt generator wont work for our inflatables, it is perfect for powering smaller items. Inverter technology makes this generator perfect for audio/video equipment and concessions. Quiet too! Includes fuel to last your entire event (8 hr maximum).